Imagine yourself sitting in front of the television set, a steaming hot pizza tray on the side table and a refreshing chilled beer in one hand. Now imagine enjoying with family friends, an outdoor barbecue evening dinner in the woods a 100km from home, equally far away from the nearest refrigerator. Now close your eyes and dream of that chilled beer in hand, clinking glasses with friends and laughing away as the food crackled on the barbecue flame. Open your eyes, wake up and you are almost living that dream except, for your favorite beer chilled just right to make you feel great. It is now possible to enjoy your favorite beer or favorite beers, on any outdoor trip or picnic. 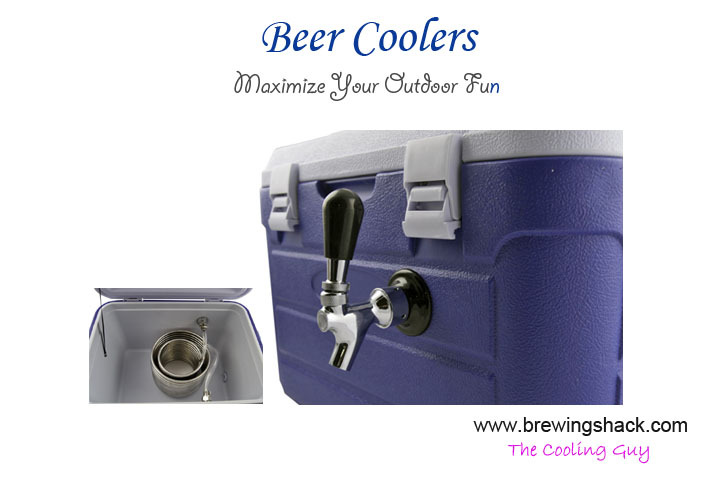 Portable beer coolers make this possible, easy and convenient to cart around, these chillers do not require any electric connections to keep your beer comfortably cool. Though the basic functions of all such beer chillers would be very similar, there are some quality features that can clearly differentiate the better ones. We spoke to BrewingShack about this, the idea being to enlighten our website visitors about features to be evaluated before they end up making a purchase. Here is a summary of what we learnt, hope that you find it useful. 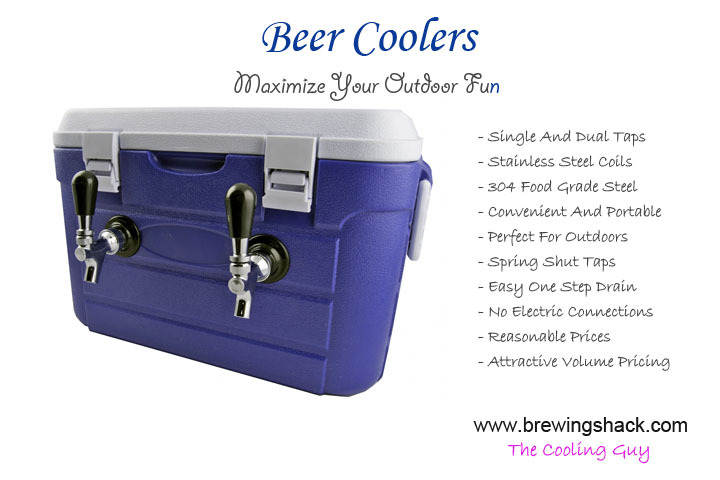 Portable outdoor beer coolers are generally available with one or two taps, the reasons for this are interesting. An outdoor chiller with a single tap would imply that, just one type of beer could be filled into the box. On the other hand a portable beer cooler with dual taps, would have two separate chambers inside. What this means is that such an outdoor beer cooler could hold two different beer types. We do know of a few dedicated beer lovers who brew their own beer and actually know how to make 2 or even 3 different 'flavors'. Still on the topic of taps, a good portable chiller would have reliable taps that do not leak or spill at the slightest excuse. Any beer lover would tell you that every drop is precious, wasting it is tantamount to madness. BrewingShack explains that the beer chillers that they offer, have spring operated taps. 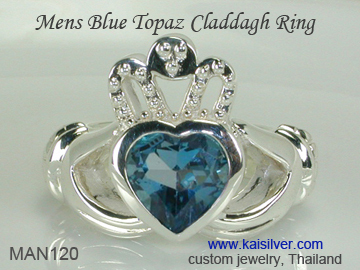 As a result of this, the tap shuts close the moment the pressure from your fingers is released. Might sound like a trivial feature but the utility value is indeed significant. Let's move inside the cooler, the coils form an important component of the device. Make sure that the beer chiller that you choose has stainless steel coils with the 304 standard for the metal. BrewingShack mentioned that the 304 stainless steel (used in all their coolers) is defined as 'food grade'. The length of the tubing in the coil needs to be sufficiently long, the coil itself should be very densely wrapped. This portable brew cooler provider uses 50 feet length for the tubes, the coils are tightly wrapped to maximum cooling efficiency. Another seemingly simple but important feature to be evaluated, relates to the way in which water can be drained out of the box. Many outdoor beer chillers require the box to be completely overturned before the water can be drained out. This does mean that you will need to drain off and save the beer (if any remains) before draining the box. BrewingShack beer chillers have a neat outlet right at the bottom (on the side) of the box, no need to lift or turn the box to release the water. We do hope that you have found the above information to be useful, browse through the website at http://www.brewingshack.com if you wish to know more about these products. 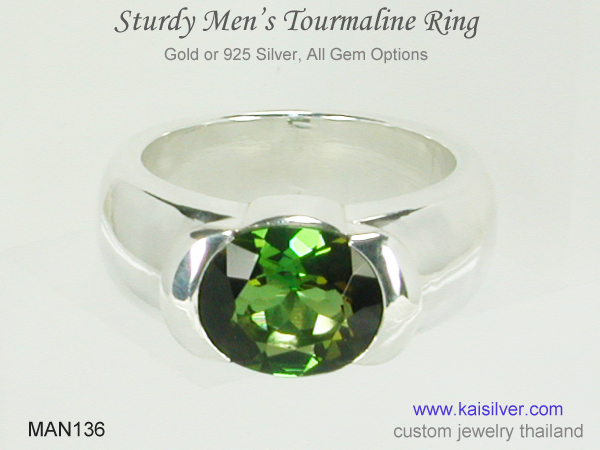 The prices seem very reasonable and there is a scaling down of the prices volume purchases. Have a look and make your own decision, you know your requirements better than anybody else!